I don’t know about you, but I tend to get in hair ruts. Like most girls, I much prefer my hair down and styled. The problem is I only like to wash my hair a few days a week, so I have to come up with styles that work for 2nd or 3rd day hair. Last week, I randomly threw my hair up in these messy buns and loved how it turned out. I think the fact that my hair was “dirty” added enough texture to allow it to hold and create that “piecey” boho look. I pulled a few pieces out in the front and around my face to give it more of a laid back feel. What is you go to “dirty” hair routine? I like this idea! It's kind of the adult, grungy version of pigtails. I was doing a side braid on 2nd day hair, but if it's 3rd day hair it's a high bun or a baseball cap. No questions asked. 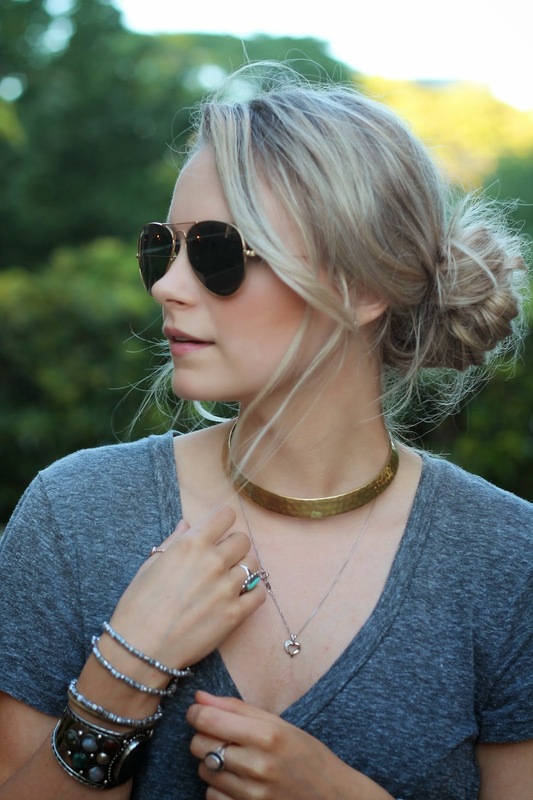 I usually keep in camp-style braids or a messy high bun if I don't feel like washing it. (I usually have to spray some dry shampoo in it to keep my roots clean, though.) 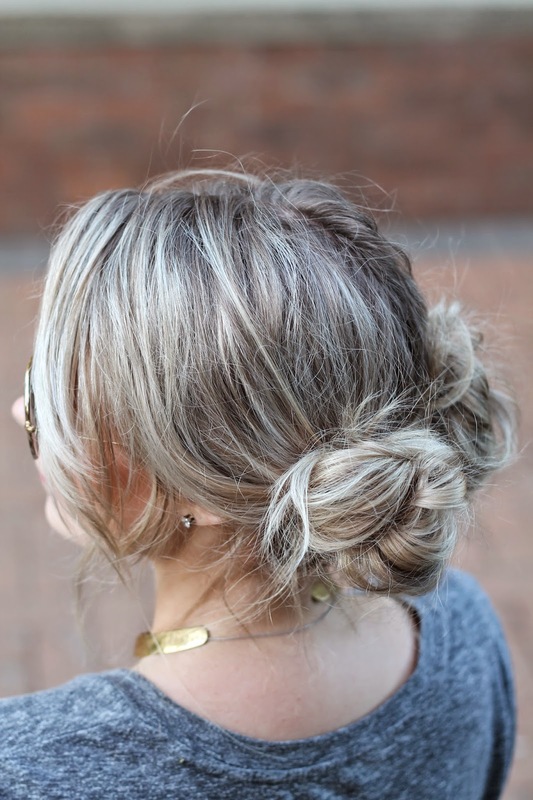 How do you make your messy buns perfect?